It is always a good idea to take a walk around your property several times a year so you can assess the property and the condition of everything around you. You can take a look at your garden, flowers, and shrubs and see what needs to get dug up, changed out or pruned properly. You can check the lawn to see if it needs patching or fertilizing. While you do all of this, you also want to take a look at your trees and see if any are damaged, getting too tall or need to be removed so you can make space for other areas of your yard. Instead of deciding to take on the task of tree removal on your own, you want to avoid the potential disaster this can bring and hire us at Your Way Tree Service Inc. for professional tree removal in Santa Monica. Too many people in the past have thought tree removal is nothing more than taking an axe, saw or chainsaw to the tree and bringing it down. These are the same people that often lament their decision later on when the tree falls on their house, power lines, car, or neighbor’s property or when they get injured trying to take down a tree. Tree removal takes experience, knowledge, and understanding of the art so that the particular tree can get taken down as safely as possible to avoid any problems or accidents. At Your Way Tree Service Inc., we have the proper skill set to perform professional tree removal in Santa Monica for you. We are properly licensed to do this work and have been in business over ten years, helping hundreds of customers with different tree services. We are fully insured and bonded for your protection, and our experts are highly trained and experienced in this line of work and know the best tools and methods to use for safe and effective tree removal, no matter how big or small the tree may be. It is much safer for you to let us do the job of your tree removal in Santa Monica so you can avoid any potential catastrophes. 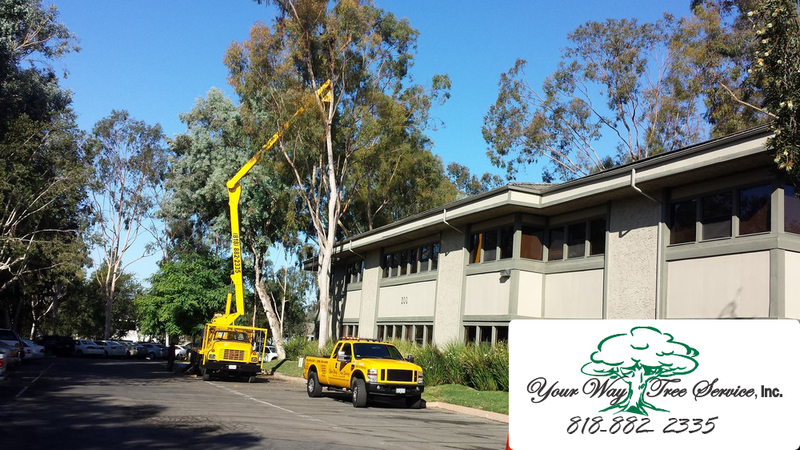 You can give us a call at Your Way Tree Service Inc. at 818-882-2335 to schedule an appointment so we can take a look at your trees and determine the best and safest way for proper removal.